Getting ABBA back together has been a dream for many, and British TV and Music entrepreneur now managed. The biggest band ever to to come off the Eurovision stage are to reunite on a pioneer groundbreaking technology project with Simon Fuller. According to ITV morning magazine show Good Morning Britain, Swedish pop sensation and 1974 Eurovision winners ABBA are set to reunite properly for the first time in 30 years to work with industry giant Simon Fuller. 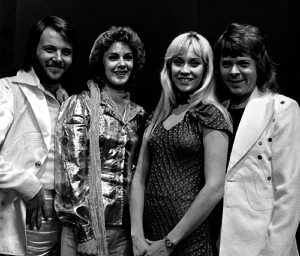 The Swedish Waterloo singers, Agnetha Fältskog, Björn Ulvæus, Benny Andersson and Anni-Frid Lyngstad officially parted in 1982 after a successful 10 year run. Many years later they are officially reuniting. The group has announced that they will be working with Simon Fuller on a “Groundbreaking venture that will utilise the very latest virtual reality technology”. We’re inspired by the limitless possibilities the future holds and are loving being a part of creating something new and dramatic here. A time machine that captures the essence of who we were. And are. Benny Andersson to Good Morning Britain, ITV. Simon Fuller is a music and TV entrepreneur known for TV shows like Idols and So You Think You Can Dance. About this project he adds that “the creativity and ideas flowing from the members of ABBA over the past few months have filled me with great excitement. We are exploring a new technological world, with virtual reality and artificial intelligence at the forefront to create new forms of entertainment and content we couldn’t have previously imagined. The full details of the collaboration between all 4 original members of ABBA and Simon Fuller will be announced in early 2017.